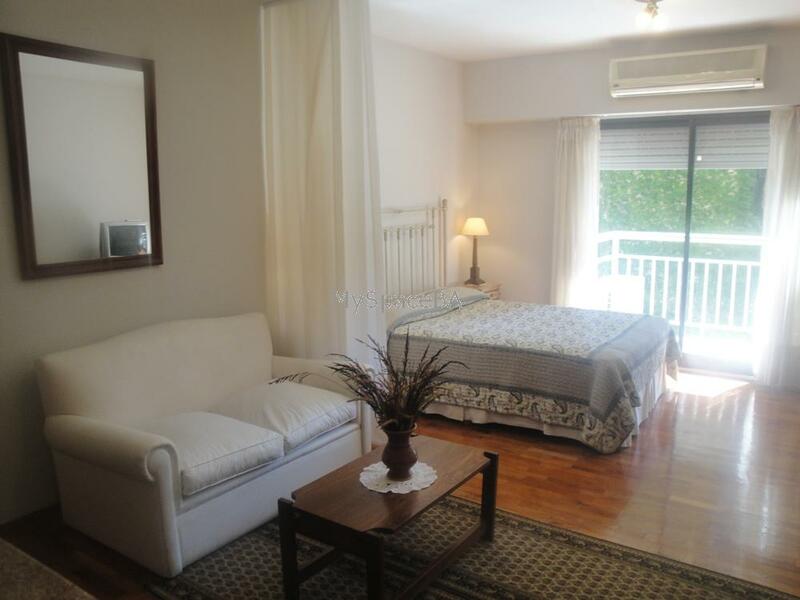 Bright, quiet and lovely Studio apartment located in Recoleta. It is ample and comfortable with balcony, exquisitely decorated. It is situated at the back of the building far from the city noise. It has a double bed, two sofas. It has a fully fitted open kitchen and a complete bathroom with bathtub and shower. Brand new building, Balcony, hardwood floor, AC, heating, cable TV, CD Player. Internet High Speed. Landline telephone for local calls. Cleaning service once a week. Kitchen with refrigerator, freezer, microwave, toaster, coffe-maker. Towels and sheets. Brand new building. Doorman 24hs. Recoleta Village, restaurants, bars, cinema, museums, church, bus routes, banks, residential area, commercial area, parking. Included: Electricity, gas, water, telephone ( local calls) , building and city taxes and maid service once per week.